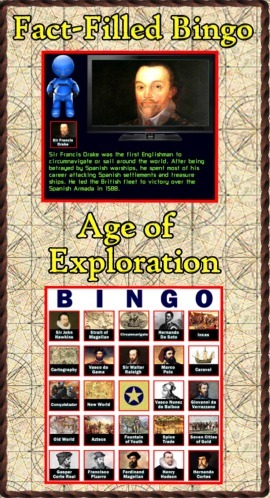 Are you looking for a way to add interest to your Age of Exploration unit? Do you need activities for your learning stations? “Age of Exploration Trading Cards” is a set of 54 trading cards highlighting famous persons, places and items of the period. Print and laminate the cards to create a standard set of playing cards. 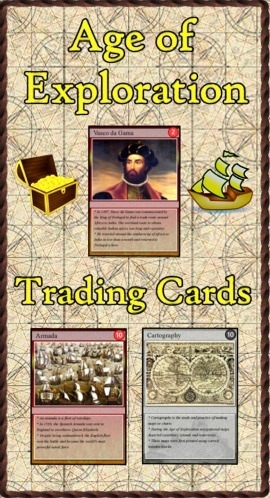 "Educational Trading Card Games" details three original learning games. Creating Educational Trading Cards shows teachers and students how to make their own cards. These trading cards are really great for children to see pictures of that time period. I will be using these in a center where the children will answer questions about the cards. Great trading cards! Thanks for the information about making your own cards online! The early years of the colony were nearly a total disaster. Almost half of the settlers died due to poor choices in settlement location, management of resources, and quarrels with the indigenous Powhatan Indians. 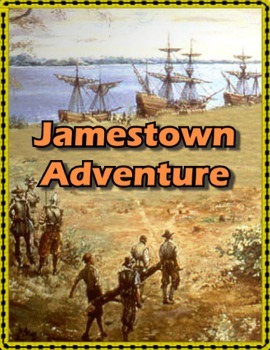 You are the Captain of the Jamestown Colony. Can you do any better than the real colonists?